It is fair to say that nowadays we are used to eating the delicious food that comes from all over the world. Wouldn’t it just be silly to deprive ourselves of it? You know that each season offers an array of beautiful fresh produce, and this is a great time to start experimenting and trying out new dishes or reworking those old ones to incorporate more seasonal produce. Not only will your palate be impressed but there are health benefits too. Hilton Malaysia; Malaysia’s most recognized and hospitable company has some good news! They are bringing you an annual calendar that features seasonal produce brought to life within all outlets throughout all Hilton brands. One of the best things about the food scene is the sheer diversity of what is available. Malaysia, with such an amazingly multicultural population creates a culinary landscape that offers astounding experiences. We know food can be very subjective and since not everyone shares the same tastes, there is a need for a variety of options and this is another area where Hilton Malaysia shines. If you are wondering what tasty new items will be flooding Hilton Malaysia restaurant menus in the coming months, do not worry, we got you. We have sipped and snacked our way through the latest innovations to determine what you are going to want to get your hands on. Hilton has long been associated with culinary expertise with emerging trends and we are witnessing the mindfulness movement in how we approach food. 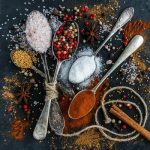 The food industry has changed and developed over the decades in order to satisfy customer needs and consumer behavior. Trends in the food industry have significantly altered and this can be seen by the increasing demand for collectively and environmentally friendly products. One of the other food trends is social media that plays an important role when it comes to food trends. Snapping a photo of that delicious cooked pasta plated and served with complementary sauce or a juicy succulent burger we cannot wait to dig into, and instagramming it. Why? Because, it has become a social phenomenon that seems to be growing. We love seeing what others eats and showing off with our own dishes. The increased influence of foodie culture on social media on consumers is an opportunity for foodservice operators like Hilton to offer millennials what they are looking for, customize their experience and cuisine and be influential for future consumers. #EatDrinkHilton, Hilton’s first nationwide dining promotion, underpins our commitment to deliver exceptional experiences to our guests by serving some of the most amazing cuisine in the country using locally sourced produce. #EatDrinkHilton experience at Hilton Malaysia brings a new level of innovation using sustainable, locally sourced ingredients that promises a gastronomic journey to satisfy taste buds and please the eyes at the same time. Now with the new foodie trend, we invite you to Eat Drink and Share. Instagram or tweet a picture using #EatDrinkHilton and the name of the hotel highlighting seasonal produce at any of one of the Hilton Malaysia participating outlets that are seasonal produce ingredients highlighting the campaign through creativity in cuisine. What is in Season Hilton? In-season produce is fresher and tastes better, sweeter and perfectly ripe. When fruits and vegetables are picked for consumption that have been naturally ripened on the vine or the tree and harvested at the right time, it will have much more flavor and nutrition. You might have experienced that super juicy perfectly sweet orange in winter during your travels abroad or that crispy sweet pineapple when in season or even sipping on aromatic tea when it is raining outside. We have designed menus that includes ingredients and dishes to further entice you to come and dine with us. Participating Hotels: Hilton Malaysia hotels from Hilton Kuala Lumpur, Hilton Petaling Jaya, Hilton Kuching, Hilton Kota Kinabalu, DoubleTree by Hilton Kuala Lumpur, DoubleTree by Hilton Johor Bahru, DoubleTree by Hilton Melaka, DoubleTree Resort by Hilton Penang and Hilton Garden Inn Jalan Tuanku Abdul Rahman North. It is all about tea, yes, you read that right! Tea pairing with food; and we are not just talking about the traditional finger foods of sandwiches, scones and cakes for afternoon tea. Pairing tea with food is the perfect way to enhance the taste of a dish as well as the drink itself. From using tea with duck to having tea as part of a dessert. This month when you visit, any of the Hilton Malaysia dining outlets ask for the July Focused seasonal produce. Did you know: Tea known Chai, Teh, or Cha; depending on which part of Asia you are in, these leaves are popular in every way possible! The Indians add spices to it, the Thais add condensed milk and a lot of ice and just sometimes, it is mixed with coffee in some parts of Asia. 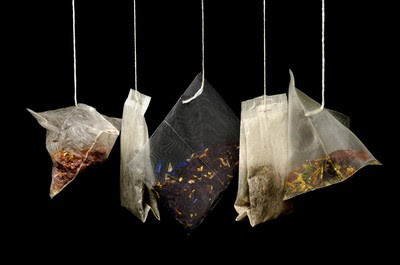 As of today, tea is the most consumed drink after water. All you need is love. But, a little chocolate now and then doesn’t hurt. –Charles M. Schulz. 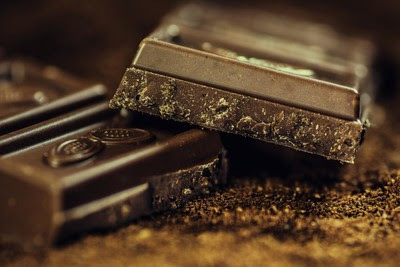 Though Chocolate has been prepared as a drink for nearly as long as its history, a vast number of foodstuffs involving chocolate have been created — in particular; desserts including cakes, ice-creams, pudding, mousse, chocolate chip cookies and more! This popular ingredient is often molded into different shapes and given as gifts during traditional holidays and celebrations, worldwide. The month dedicated to all things chocolate. We all know this sweet ingredient is an essential part of rich, decadent, creamy, sometimes bitter desserts. However, when used in small quantities, it is equally delicious in savory dishes. From a Trio Beef Platter to barbequed lamb with spicy chocolate sauce, these innovative recipes will make you see chocolate in a completely new light. Grown throughout Asia, lemon grass is an essential ingredient in Thailand, Vietnamese and Indochina cuisine. This fragrant tropical grass almost smelling like lemons will be the highlight for the month of September. 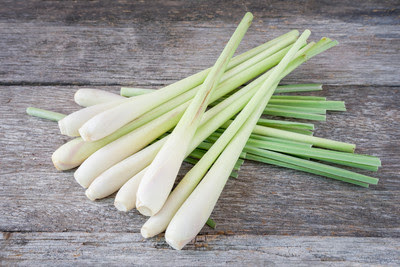 Good for digestion, full of antioxidants, regulates high blood pressure, boosts metabolism, burns fat, naturally great for flawless and shiny hair, and even heals cold and flu; lemon grass prepared or used whole, sliced or pounded to a paste is used as marinades in stir-fries, salads, spice rubs, and curry pastes. The tamarind fruit also known as the “Indian date” mainly used as supplementary food. 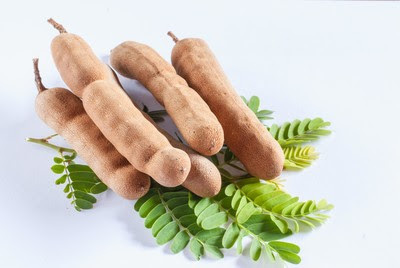 The fruit pulp of the tamarind is edible but its ripened fruit becomes sweeter as it matures. Used in desserts, as a jam, blended into juices or used as a drink sweetener. In the Indian subcontinent, the tamarind is used in curries as an added flavor to food and used in the form of a sauce as a snack dressing. Some of the dishes that you must try are the Deep fried seabbas with nyonya assam sauce at Toh Yuen or Grilled beef with tamarind sauce (daging bakar Air Assam), sous vie Oxtail assam pedas (braised oxtail in tamarid and galangal spicy sauce) at Paya Seria, Hilton Petaling Jaya or the Grilled Fish (Ikan Bakar) with spicy tamarind sauce at Hilton Garden Inn, Jalan Tuanku Abdul Rahman. In the month of November, the 11th month of the year, ginger takes center stage. You like it or you do not, this zesty, peppery flavored root comes with an extensive list of health benefits. 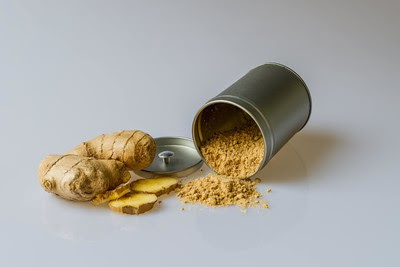 The ginger root is equal parts delicious and nutritious and sometimes can taste very spicy when accompanied with poultry dishes as a garnish. Delicious in cookies to tea, gravies and soups, ginger is a culinary ingredient widely used in Food & Beverages across South East Asia. So when you dine at any one of the Hilton Malaysia hotels, make sure to ask for the seasonal produce dishes for the month of November. You will not regret your order. Cinnamon is the superfood of the season and we will end the year with cinnamon. While available year round, something about this sweet, aromatic spice brings an extra-added enjoyable sense of warmth to the end of the year. This super spice often sprinkled on toast and lattes is also part of the famous five in garam masala; a blend of ground spices common in cuisines from the Indian subcontinent. 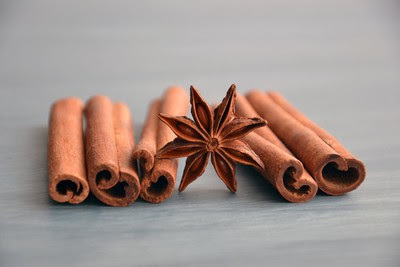 Cinnamon in its grounded form primarily employed in culinary as a condiment and flavouring material and used in the preparation of chocolate, bread-based dishes, cereals, fruits and certain seasonal drinks such as eggnog. In its raw form, it is added to curries, soups and stews as a flavouring. This December come and try the Cinnamon Ice Cream or Cinnamon Apple Crumble at Makan Kitchen, DoubleTree by Hilton Kuala Lumpur or the Crispy roasted chicken with cinnamon salt at Toh Yuen at Hilton Petaling Jaya or try the Pumpkin Ravioli with crab meat, pumpkin cinnamon cream sauce at Tosca’s DoubleTree by Hilton Johor Bahru for an unforgettable end of the year. At Hilton Malaysia, we promise you that you will find our restaurants provide high quality food and drink service to guests, Ultimately, dining at any one of the restaurants nods to an amazing, culinary experience that highlights all of the seasonal produce as a way of treating yourself.